Is Camel Milk the Mother of all Superfoods? Camel milk latte anyone? What about a slice of camel milk cheddar with your crackers? Forget kimchi and kale – camel milk may just be the mother of all superfoods. Not only is it rich in vitamin B1 (thiamin), calcium, potassium and phosphorus, but it’s packed with healthy probiotics that assist good gut bacteria growth. Even more exciting are worldwide studies showing positive results in its use in the management of autism, diabetes, autoimmune skin disorders like psoriasis and eczema and a raft of other conditions. 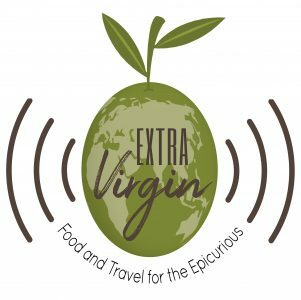 In this episode of ExtraVirgin, we talk to biochemist and nutritional immunotherapist Jeff Flood, CEO of Australia’s largest camel dairy, Summer Land Camels about how his search for better health for his patients led him to camels, why people who can’t tolerate cow, sheep or goat’s milk can benefit from camel milk and the future of camel dairying in Australia and the rest of the world. Hopefully you’ll find this story as fascinating as we did. Please download it now on itunes or wherever you get your podcasts. Next Post How to Win at the Frequent Flyers Reward Game.